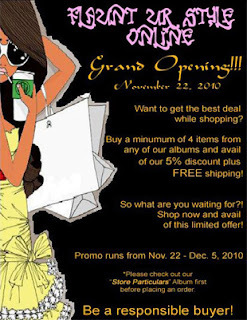 Flaunt UrStyle Online Shop is Now Open for business! They are selling authentic Korean Clothing, Footwear, Accessories, and even Korean Watches! it's just a click away!! !